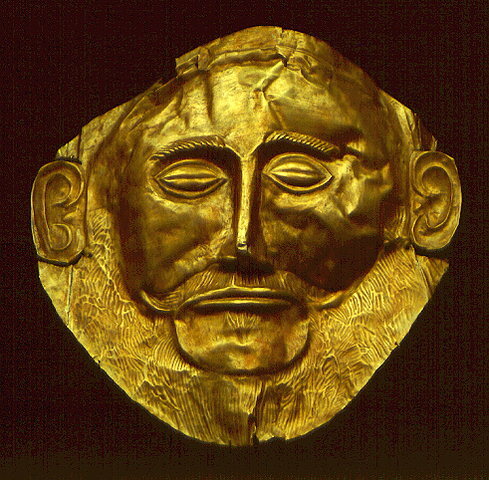 Gold mask from Mycenae. Funerary gold mask known as "Schliemann's Agamemnon", found in Shaft grave V of Grave Circle A at Mycenae. Dated to the second half of the 16th century B.C. Inv. no. 624.